There are few places like the Henrys Fork. It is as diverse as any river can be. There are canyons, slow meandering stretches, waterfalls, farm fields, and on… As any angler knows, knowing what might work really helps. So if you’re planning on a Henry’s Fork Hatch Chart, why not use the one that’s focused on where you’re planning on fishing? Here in Fremont County, the “Upper” is from the Ashton Dam to the confluence in Island Park. Stop by our Island Park Fly Shop or our Ashton Fly Shop or give us a call to find out what’s happening on the river! 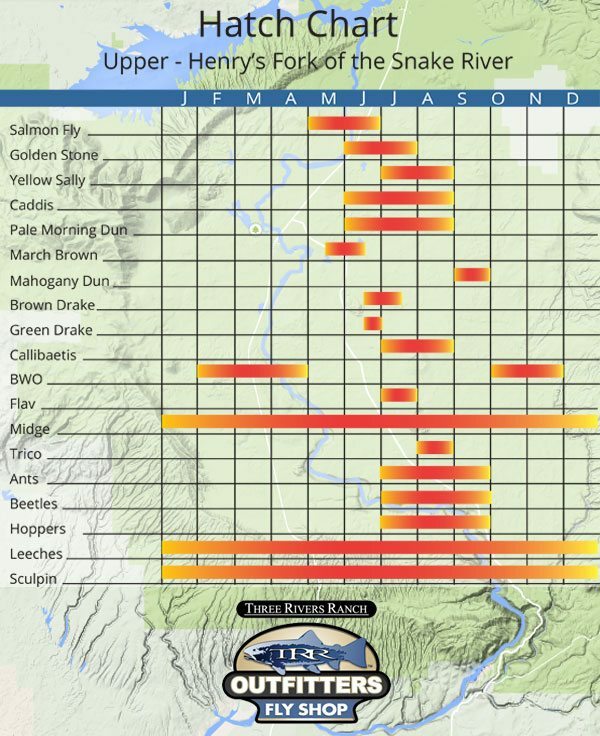 Take a look at this map from the Henry’s Fork Foundation.